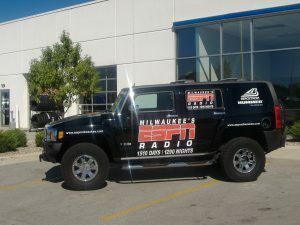 Mobilize your vehicles and turn them into a moving marketing message! 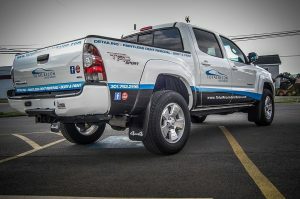 Whether on the road, stopped at traffic lights, or parked at client properties, never miss an opportunity to promote your company name and the products/services you offer with impactful vehicle wraps and graphics. 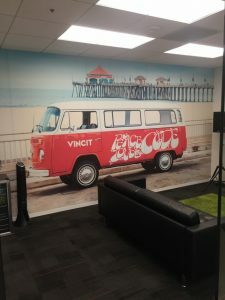 Our team are pro’s when it comes to designing, manufacturing and installing car wraps, vinyl vehicle wraps, boat wraps, and fleet vehicle wraps. 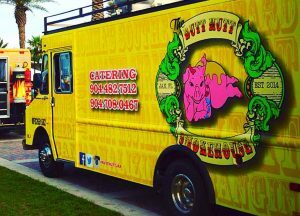 We work with companies exploring new ways of marketing their company and maximize the impact that vehicle wraps have on generating new revenue streams. Call Cogent Signs & Graphics, Inc. today at (949) 284-6977 for a Free Consultation with a vehicle wrap specialist! 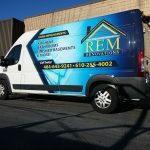 Whatever your business, vehicle, or message, vehicle graphics are a great way to increase your brand visibility in your target market. While some companies go for full wraps, others want something a bit more simple. That’s why we offer a range of solutions for different needs and budgets. 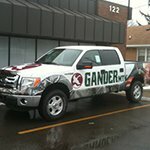 Partial wraps give customers complete control over the amount of space the design takes up and where it sits on the car. 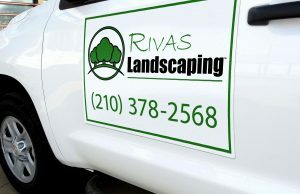 We use partial wraps as a way of maximizing your marketing based on the space we have to work with. Designs will be crafted by our graphics team who look to maximize the impact the design has on the vehicle and its intended audience. Our manufacturing and installation team will work with you to understand the size and shape of the vehicle to ensure the final design contours to the body. Budget a bit tight? Partial wraps are an effective, affordable solution. 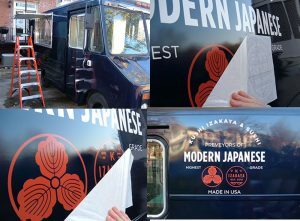 Vinyl graphics are an extremely effective way to promote your business and boost brand awareness using your vehicle. Using this type of design gives you control over the use of messaging, logos and brand guidelines to raise awareness of your company. Vinyl graphics also allow easy updating and amendments should you need to. 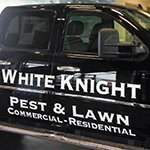 Cut vinyl lettering is also commonly utilized for adding company names, DOT numbers, and your marketing message directly to your vehicle quickly and easily. If your work vehicle doubles as your personal mode of transport, you may want to be able to separate work and pleasure with minimal effort. Offering great versatility, turn your vehicle into a moving marketing board on a Monday morning and turn it off on a Friday afternoon by simply adding/removing branded vehicle magnets. Magnets are durable and provide more versatility for display than any other vehicle marketing type. 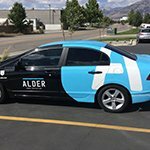 Whatever the business, whatever the vehicle, we can wrap it in a way that makes your design part of the daily operation of the vehicle it’s attached to. We create bespoke, custom artwork, designed to the highest standard, which is professionally installed to give you the cutting edge over your competitors. Our expert staff is committed to customer satisfaction. 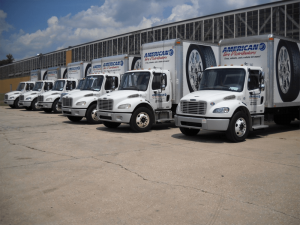 We help businesses overcome challenges they face by utilizing fleet vehicles to their advantage. This includes helping you raise brand awareness, promote sales and offers, and increasing revenue within your target markets. Need a full-service solution? 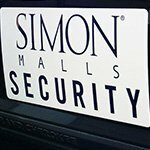 We create attractive, brand-focused indoor and outdoor signage for your business, as well. If you own, rent, or are in the process of buying vehicles for your company, turning them into additional advertising channels is an effective way of promoting your business and the products/services you sell. This method of promotion grows your reach within local communities and establishes trust between you and your prospective customers. 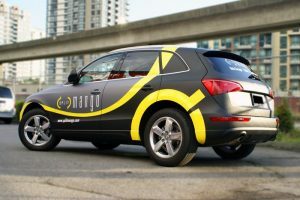 If your vehicles spend a long time on the road, doesn’t it make sense for them to promote your business? Don’t miss an opportunity to gain a new client, promote a sale, or raise awareness of your business, simply by doing what you do on a daily basis. 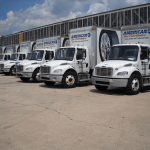 No matter how many vehicles your company owns, turning one, or one hundred, into a moving fleet of marketing materials is bound to get you noticed. Using eye-catching designs that are easy to interpret, our team help you achieve more visibility on a consistent basis. The wraps we install are durable and long-lasting, meaning you won’t have to worry about damage or repair costs. If you offer services to clients at home or spend large amounts of time at customer premises, vehicle wrapping can give you the edge over your competition, promoting your products and services to difficult to reach markets. We do all of this while ensuring your vehicle maintains its on-road compliance. If you need a complete transformation of your car, we can even include applying perforated privacy film to your windows for a seamless look. These are completely legal, allow you to see perfectly, and they provide you some privacy. If your business is based on the water, promote your brand on boats, jetski’s, yachts, and other means of water-based transport. We use marine-grade vinyl to promote your business while your vessels are out on the water. Own a marina? Wrapping hire-boats is an excellent way to promote your business as part of the daily operations. Looking for new revenue streams? Why not sell advertising space on your boats to local businesses. 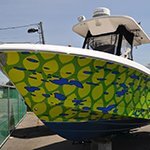 There are many ways attractive marine wraps can grow your business! Compliance on the water is of the utmost importance to avoid falling foul of the rules and regulations in place. Our team are up to date and fully aware of the requirements surrounding boat registrations and work to ensure our designs deliver maximum impact while clearly detailing the ID number, license and boat name. From charter fishing boats to whale watching tours, if your boat is the basis of your business our services can help create and maintain a positive, lasting impression on customers. We put your business in front of your audience, ensuring that the designs and information displayed results in a positive service that they will tell others about. Whether on the water or in the marina, use our custom designs to promote your business and generate high levels of interest. At Cogent Signs & Graphics, Inc., our aim is customer satisfaction. Regardless of project size, the outcome should always be the same: you should love the work we do and be proud to put it next to your company name. Our team of expert staff is dedicated to delivering results that work for you and your business. We turn your vehicles into a fleet of effective and exciting marketing materials, starting the process with a free, no-obligation consultation. Once we understand your business, customers, and challenges, a brief will be passed to our design team. 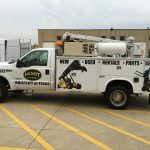 Using their skill, experience, and direction from you, they will create a mock-up so you can see how the final graphics will look on your vehicle. After your design has been approved, our skilled engineers will use our state-of-the-art facilities to fabricate your signage elements. We combine the latest equipment with the highest quality materials to deliver an attractive end product. Whether your design is made up of 1 piece, or 100 separate pieces, each one will be produced with care and professionalism. Finally, our installation team will bring the design fresh from the factory floor to your vehicle. 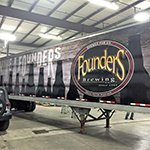 Using their years of knowledge and expertise, they will fit your vehicle wrap to produce an outstanding finish that exudes professionalism. We strive to minimize bubbles, creases or excess material, so your design will look as good from a distance as it does up close. Already got something in place? 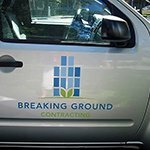 We can repair, update, or redesign existing artwork to ensure your business still sends a strong message to your audience. Owning a vehicle as part of your business means owning the opportunity to promote yourself. 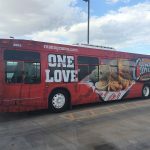 Whether you’re a one-man band or a hundred strong, vehicles present an opportunity to grow awareness and increase revenue. Find out how we can help with a free consultation. 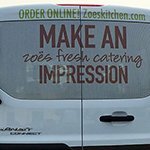 Call Cogent Signs & Graphics, Inc. today at (949) 284-6977 for a Free Consultation with one of our vehicle wrap specialists!